Part of the fun of exploring the Springs area is poking your head into so many different markets and restaurants, and seeing what's good to eat. Two of my finds using this method were Pasteleria La Mixteca and Tienda y Pananderia Iniguez. 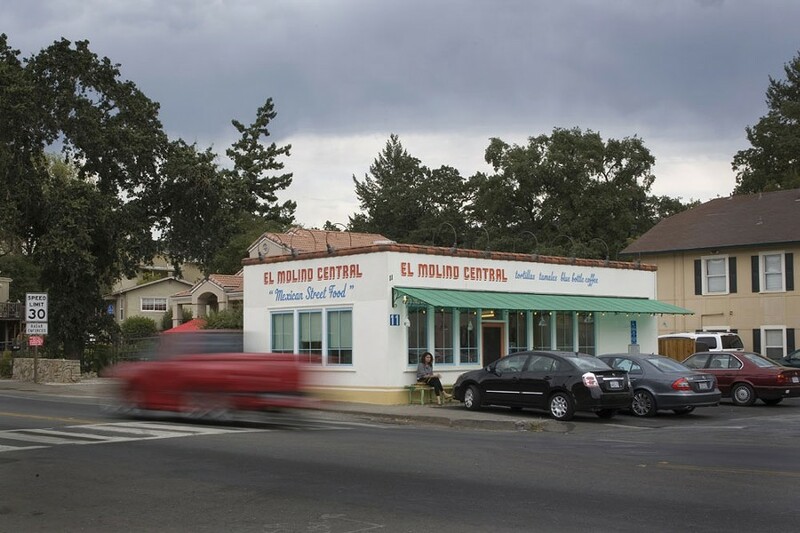 NEW BREED El Molino Central serves fresh tortillas and Blue Bottle coffee. Pasteleria La Mixteca is a bakery that specializes in wedding cakes, Mexican pastries and cookies. For me, the real attraction are the tortas. The best tortas I've had come from bakeries, if for no other reason they make their own telera and bolillo rolls, an all-important ingredient to a good torta. La Mixteca makes its own, too, and offers classics like lomo (pork loin), ham and milanesa (breaded steak), but also less-common specimens like turkey and tinga, a shredded chicken in a chipotle chile sauce. Mercado Iniguez isn't much to look at, with its narrow aisles and floors crowded with produce boxes, but what you find in the boxes is worth a look. I found wonderfully fresh squash blossoms (they're great filled with goat cheese or queso fresco and fried in olive oil) and bunches of purslane. I can't find either of those items at my local Whole Foods, and if I could, I bet they would cost a lot more. I also discovered El Gran Taco, a hole-in-the-wall taqueria set back from Highway 12 that makes tangy grilled chicken and fresh tortillas by hand. On weekends, the place offers red mole, barbacoa and birria, all perfect stewlike dishes great for mopping up with fresh tortillas. Although Reyes has lived in the Springs area for 15 years, she's reluctant to single out a favorite restaurant. She's not only a social worker, she's a diplomat, too. "I like to go to all of them," she says.